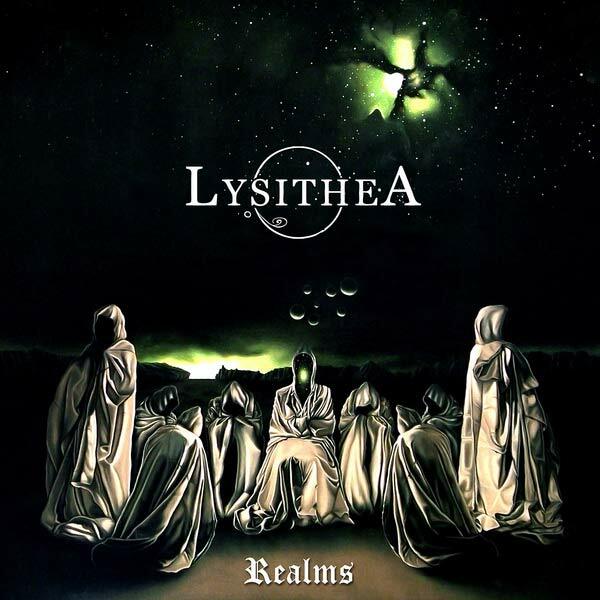 Lysithea is billed as a melodic doom metal band, and that is a perfect way of describing their debut, which features long and dreamy soundscapes of clean psychedelic passages punctuated by just enough segments of heavy and melancholic metal to earn them a spot on the Metal Archives. Their debut was entirely instrumental though and on their second release, they added a vocalist. What surprised many, myself included was that the vocalist they opted for was not a traditional doom vocalist but rather a harsh one which results in a rather odd sound. The result was not exactly what you would expect, however. Instead of the grating growls that are typical of melodeath releases, what resulted was closer to Agalloch or the early releases by Opeth, where the vocalist stands out in stark contrast to the melodic music but without creating a bizarre oil-and-water mix. This album retains all the melodic aspects of their previous releases, but the heavier sections are significantly heavier, not just from the addition of harsh vocals, but also from the percussion which is now characterised by more frequent and intense blast beats from the kick drums. At times, the slow tempos and harsh vocals work to create an Ahabesque funeral doom feel, especially on the track “The Lighthouse” which also features – strangely enough – clean female vocals. I think female vocals in extreme metal can and often do work well. Unfortunately in this case, they just don’t. Whether that is the fault of the vocalist or a result of bad mixing and production is hard to say. But they are short lived and the album does not suffer from it significantly. It is hard to discuss this album like other doom albums primarily because Lysithea aren’t playing conventional doom metal. If you compare this album to any of the seminal doom metal albums from the eighties, there isn’t a whole lot of similarity here beyond tempo. The primary difference is the lack of riffs. Realms plods along slowly and steadily like a lot of doom, but the mood is actually carried most strongly by acoustic arpeggios, piano intros and interludes, and keyboards along with distorted and tremolo-picked chord progressions as opposed to the low-end single-string riffs heard in bands like Saint Vitus and Pentagram. In that sense, some of the compositions appear to be closer to black metal in terms of execution, even though they are pretty distant from black metal in terms of overall sound. But like a lot of black metal artists, it seems to me that Lysithea are concerned with creating a sonic atmosphere more than anything else. And that leads me to my final summary of this album: Realms is a slow musical journey that is at once inviting and enchanting to the listener, but it does not demand any attention but what you give it. If any listener is willing to be engaged, he will likely find at least something to enjoy about this album; there is certainly plenty there to chew on here. But the casual listener may very well walk away nonplussed.